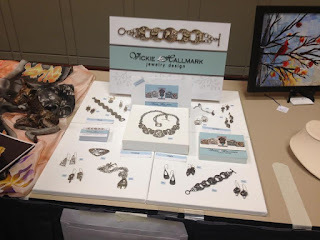 I recently traveled to Philadelphia to attend the Arts Business Institute workshop on wholesaling, which was held in conjunction with the Buyers Market of American Craft. 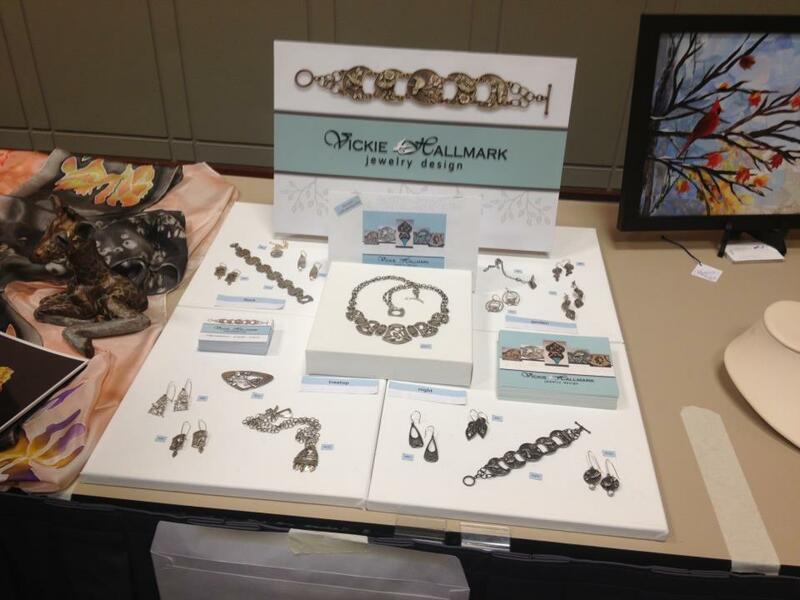 I actually went a day early to help my friend Wendy McManus set up her booth for her first experience at BMAC. The weekend was an intense one. I spent a good number of hours helping Wendy hang curtains and signs over the provided pipe and drape. Lorena Angulo also attended the ABI workshop, so I had the chance to catch up with her. Although we live less than two hours apart, we often seem to travel to visit. The first day of the workshop featured Bruce Baker, noted for his entertaining presentations on sales and booth design speaking about both of those topics in relation to wholesaling. I've heard Bruce speak at least twice in the past, and while I heard a bit of repeat, most of the information was new. We also were treated to a detailed presentation on Pricing for Profit by Megan Auman of Designing an MBA. I've taken Megan's digital version of this class, and again there was plenty of new info. In the late afternoon, we were able to walk the BMAC show floor. I had alternative access because of helping Wendy, so I made multiple passes over the course of three days, gleaning new insights each time. On Saturday evening, we attended the Niche Award ceremony and cheered loudly for Sophia Georgiopoulou's stunning necklace in the alternative materials category, which won the award. We also cheered for our new friend, amazing jewelry artist Aleksandra Vali's win in fashion jewelry. Creative marketing and sales strategies, covered by Carolyn Edlund. A question and answer session about the show nuts and bolts, such as application, costs, and the booth package, featuring Rebecca Rosen Mercado. Interactive sessions with two artists: Matt Thomas, a woodworker, who wrote $60,000 in orders at his first BMAC show last year, and Merrie Boxbound, who has exhibited for many years at BMAC as a polymer clay artists, originally selling jewelry, but now focusing on pens. The last day also featured the most personal part of the workshop: the critique session. We were allowed to set up representative work in a two foot by two foot space in a controlled access room, where buyers could voluntarily view the wares and provide written feedback. I received a number of reviews, which uniformly agreed that my work is very marketable, but which generally suggested that my price points need to move downward. Since I presented one-of-a-kind work and have yet to develop a production line, that was totally expected. I came home convinced that I could do the show, if I decide that wholesale is the right direction for me.